New Years Resolutions: I’ve made them for as long as I can remember, but I couldn’t tell you one off the top of my head. They’ve always felt important, but they’ve never been impactful. I actually just checked back on my blog to see if I had written any of them down and found this post about an alternative way to view resolutions. It was refreshing. Thanks, past me. I don’t remember writing that, but apparently I knew what was up two years ago. But that’s not what this post is about. 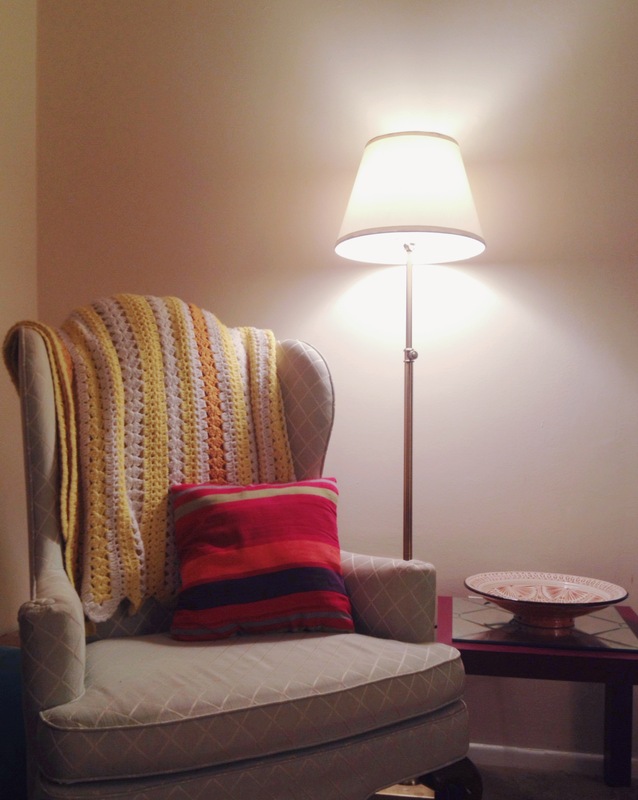 I wanted to share a little look into what I’ve set up for 2016. This year, I’ve created simple new years intentions. I think the biggest hangup people have with resolutions is that they’re so resolute. There’s no room for error, and a simple slip up can ruin the whole project for the year. I wanted something a little more open to interpretation. And to mistakes. It always goes back to being kind and gentle to yourself instead of holding rigid expectations. So without further ado, here are my intentions for 2016! There is no heirarchy here. I based these on three personally important areas of my life: my relationships, my all-around health and my work. Turns out, they all ended up being relevant for all areas. I chose this one specifically with my relationships in mind. I have been surrounded by some awesome support this year, and I want to make sure I keep up healthy relationships by giving more energy and commitment to them. But beyond relationships, this hits another area of my life: my own health. I’m notorious for putting work ahead of my own well-being, and that’s something that needs to change this year. I’m talking all sorts of balance here, folks: work-life balance, physical balance (hello, yoga) and mental/emotional balance. All of these have been out of whack lately, so I’ve been setting up gentle rules guidelines to help regain my balance. Again, like I said, these intentions are not meant to be hard and fast rules that I’ll break and then feel bad about. Think of it like meditation – whenever you wander from these core intentions, gently bring your focus back. Self-defeat is not useful here. I discovered this concept from Brooke McAlary while I was binge-listening to her Slow Home Podcast. She has a great episode about rhythm, and this blog post will help you get started creating a rhythm for your week. I love this concept because routine is such a danger zone for people like me – if one thing goes wrong, I’m ready to scrap the whole thing until the next day when it starts over. I want to create a rhythm in my life that is kind and productive. It also doesn’t hurt that I love the musicality of this word, and everyone can use more music in their lives, right? I started by picking three areas of my life I wanted to work on, but you don’t have to be that specific. Chris Brogan has a clear way of explaining this concept, and really helped me get started with mine. These are your words. You don’t have to share them or feel like you have to copy others’ words. Choose what speaks to you. Leave room for change (a year is a long time!) and allow yourself some space to grow into the words. Mine are a little less specific than I wanted, but I loved that I had a little wiggle-room on how I interpreted them. Don’t take it too seriously. Don’t let these words become negatively restrictive or impeding. The only way it will work is if you allow yourself some grace for unforseen circumstances. With that, I wish you and yours the best new year! And I want to thank all of you readers for joining me on this blogging and simplifying journey – you truly made my 2015 extra special. Now it’s your turn – what are your intentions for 2016? 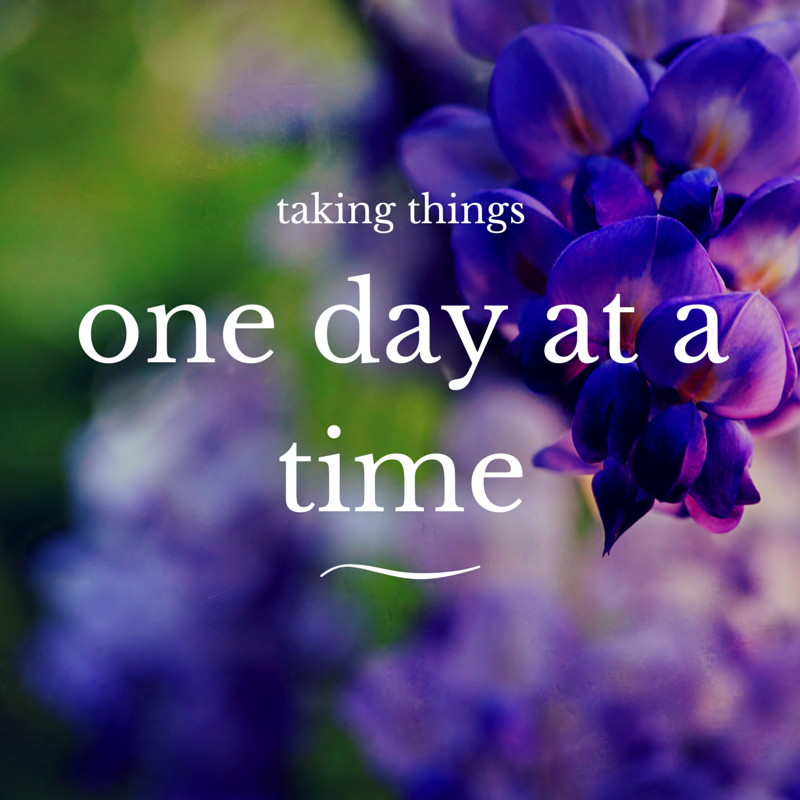 With less possessions and fewer distractions (like Facebook), I’ve found more time to manage. Which is great! But goals can get lost and muddled when there’s no clear path. So my husband and I decided (at the recommendation of a good friend) to start the sticker system. What is the sticker system? The sticker system is nothing new – you might have used it in elementary school. It’s just modified to help us “grown-ups” to be productive (and, yes, to play with stickers). You set goals and gain stickers when you reach them. Simple as that. What is it that you really want to do? Start by setting some main goals. These can be something you want to do this year, this month or this decade. They can even be ongoing projects (for me, that would be this blog). Think of all the goals you want to work towards in different aspects of your life. Mine focus on the physical and mental “categories”, but yours might just as well be socially or emotionally motivated. It’s important to have them visible and out in the open. Tell a friend or partner about them and ask for support. And of course, don’t let your goals stagnate. Change when you feel like it’s time to change. It’s okay to change. Next, choose tasks that will help you reach your goals. I want to get in shape, so 25 pushups gets me a star. Running a mile gets me a star too. Don’t go too big! If you regularly run eight miles at a time, then your star task might be more general like “go for a run”. I’m just starting to get back into running, so it’s more rewarding and encouraging to keep it small. Don’t get too in your head either, because there’s no absolute formula for sticker-earning. I think that’s what makes it so fun. 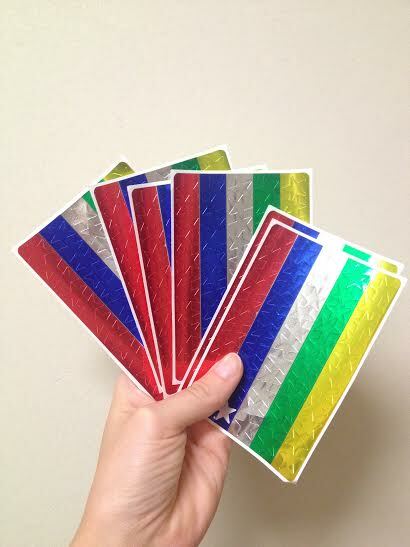 You could earn stickers for eating breakfast or for showing up to work on time or for doing a cartwheel. You are the master of your fate, you are the captain of your stickers. I chose these stickers because they remind my of my grandma! She always had these stickers for us grandchildren to play with. My husband and I decided that at the end of the month, we get to cash out. One sticker = one dollar. We can use this towards a purchase of our choice. Your reward might/will look different. Maybe it’s a coffee, or maybe it’s an expensive yoga class. Maybe you’ll require at least x number of stars before you can redeem your reward, or maybe your reward is based on how many stars you end up with. I’m naturally motivated by competition, and many Millennials are, so seeing a physical manifestation of my progress is encouraging. And since this post is live, I get to add another star to my sheet. Last weekend I had the privilege of visiting my younger brother on Hilton Head Island in South Carolina, where he lifeguards in the summer. In the winters? He makes wooden sunglasses out of a garage in the Midwest to sell online and on the island in the summer. And here I am a week after my trip, and I still can’t quite find the words to describe the state in which I found my little brother. I found him doing what he loves most, despite how unconventional it is, despite naysayers, despite what the “normal” professional trajectory is for us Millennials. Even on the hottest days on those beaches, he seemed calm, happy and energized when brainstorming about his burgeoning business. He’s found a place where he’s surrounded by like-minded, supportive people from all walks of life and from all corners of the world. He’s living an active (and frequently grueling and exhausting) lifestyle where he spends most of his days outside. He does not have a computer, and rarely accesses Facebook. In fact, he took off for Hilton Head right after my wedding with half of a car full of stuff. Half. (I don’t think he would ever call himself a minimalist, but he is). The most important things? Surfboard. Sunglasses. Phone. More sunglasses. His story is a page out of some of the most successful people we know about’s book: started college, switched majors, switched colleges, didn’t know what to do. Instead of embarking on an expensive out-of-country internship, he discovered Shore Beach Service in Hilton Head. He went to work, where he got the idea for Luke Shades and is now out of school and fully immersed in entrepreneurship and beach life. So when I saw him last weekend, my heart was an odd mix of light and heavy – how wonderful for him that he’s found his place and is starting such an exciting journey! And yet, here at home my husband and I aren’t “living for Monday” so to speak – we’re getting by just fine, but we’re not flourishing. We aren’t doing what we love in a place that we love. Being around Luke and seeing his fearlessness and undeniable passion for what he’s doing made me think again about what it is that drives me, what keeps me up at night. My mind has been racing this week, lists have been made, thrown away, remade, lost, and remade again: what is my equivalent of wooden sunglasses? What is my equivalent of lifeguarding? (Notice “equivalent” – Lord only knows how different Luke and I am). Everything is easier when you’re doing what you love – even the hours of work, the blisters, the struggles – because you have a grasp on what your purpose is. Your life is precious and you have the choice to either fill it with things, people, places and work that you love or you can fill it with everything else. What is it that drives you? What is it that you’re dying to do and haven’t yet done? There is an inextricable link between confidence and minimalism. You don’t have to be a minimalist to be confident, although you do have to be confident to be a minimalist. But it’s not something that has to happen all at once. As I began to rid myself of four college years worth of junk, I started to feel more confident and comfortable with myself. Like a block of marble that’s slowly being reduced and shaped into its final form. I was getting there. The confidence grew, and the conviction to live simply grew alongside it. Then recently (and quite suddenly), my confidence left the building and went to wallow somewhere without me – leaving me frequently frustrated and complaining. I began cooking less, cleaning less and buying more. I started to feel that without the proper duvet cover I would somehow lose my place in society (I did get a duvet cover and it actually is wonderful, although the time I spent worrying – yes, worrying about a duvet cover – I will never get back). I felt the need to start “keeping up with the Joneses” and looked at my unpolished fingernails and old couch with disdain. I bought a coffeemaker (which, okay, I don’t entirely regret) and a new dress or two. And believe it or not, the more I started to purchase and whine over things I didn’t have, the less I felt in control. I felt less like myself. But a few good conversations about goals started getting me back on the right path. Introducing structure back into my life and beginning again on simplifying has cleared my head. A minimalist lifestyle isn’t for everyone, but I do know that this feeling of confidence and fulfillment has grown for me and my loved ones who have even slightly simplified their lives. Owning a large and ever-growing quantity of stuff doesn’t necessarily make you confident – and it certainly doesn’t make you a minimalist. It’s owning only the right things you need to get by in your lifestyle at its simplest. There’s more “you” and less clutter to distract you from yourself and your goals. As I’ve become more confident throughout the recent months, I’m seeing that I have less fear of public speaking, of one-on-one meetings with my manager or clients, of engaging strangers in a friendly conversation. And if there’s one thing I love doing, it’s being friendly. So never be afraid to get in touch with me socially. I love hearing from you all – your experiences bring me so much joy and motivation to move forward with confidence. Hopefully you’ve seen the confidence grow in yourself as you’ve simplified as well. And, where there’s confidence, there’s happiness. Check out this great story by Joshua Fields Millburn meeting a man who was unapologetically himself, and share your experiences in the comments below. Last year, I stumbled across one of those free “Apps of the Week” at Starbucks called Yoga Studio. Now, I’m not one to pay for apps (although I will admit to the occasional, yet deadly, in-app purchase of Jewel Mania. Those days are over, though.) But, I would gladly fork over the whole $2.99 for this beauty of an application. Yoga Studio is easy for yoga beginners (like me), and the interface is simple and beautiful. Not only can you download 15, 30 and 60 minute classes, but you can choose between beginner, intermediate and advanced versions of various “classes.” My session today was on relaxation, which I desperately needed. 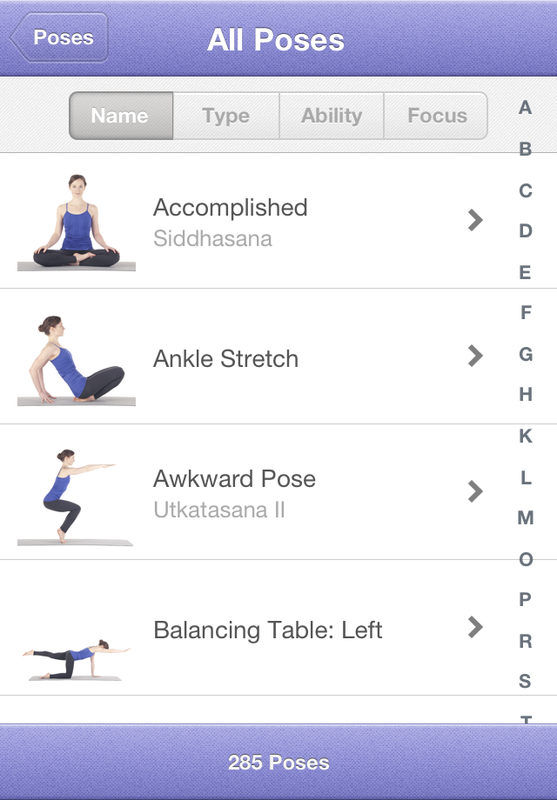 One of the neatest features is that you can schedule and create your own classes – pick out your favorite poses, and the app will even link them together with other poses in order for a fluid, well-balanced session. How great is that? Tree pose, gate pose and half shoulder stand here I come! There’s a large, and rather intimidating, pose library that includes instructions, benefits and best practices for each pose. You can create your own yoga class using any combination of these poses! I’m not saying this app is the only option, of course. I’m just saying – if you’re on a budget and you want to try out some yoga, this is an excellent alternative to taking classes. The benefits of yoga are in line with the tenets of minimalism and simple, healthy living and I just can’t wait to delve further into it. I’ve read over and over again the physical and mental affects of practicing yoga (like improved flexibility, fitness, and stress reduction), and boy, do I believe them. I’m especially bad at managing stress – I kick into overdrive when I’m stressed, and fail to take general care of myself and my surroundings, only focusing all of my time and effort on working and worrying about something that sometimes doesn’t even deserve the time of day. I notice my mood shift when I get around to a nice yoga session, and it’s something I want to incorporate into my daily routine. Admittedly, I have not been to a real yoga class in years, but the perks of going to a studio are not to be ignored. There’s a community around practicing yoga with others, and with a live instructor, you’re able to get feedback on your poses. As one who’s always been a bit overzealous when it comes to stretching muscles, I don’t think it would be a bad idea for me to get some instruction on my form. Do you practice yoga? Where?